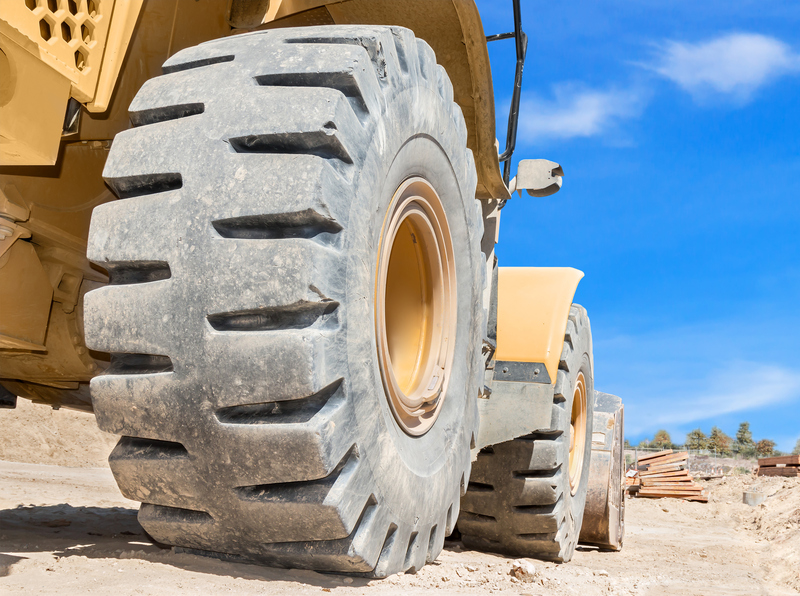 Construction, mining, industrial and other OTR (off-the-road) vehicles take on hard jobs. They are required to carry heavy loads, perform difficult tasks and work on treacherous terrain. As equally important as the operator controlling them are, no OTR vehicle could perform its job without good tires backing them up. OTR tires are special. They are large, tough, resilient and capable of supporting more than your typical car or truck tire. Those reasons also make them so important and a hassle to deal with if something goes wrong. In order to avoid frequent OTR tire changes and letting yourself get the most out of each one, follow these three tips and tasks that will help give your tires a longer life. One of the easiest ways to help make your OTR tires last longer is to perform daily checks of tire pressure. Before and after every use, ensure that your tires are filled to the proper manufacturer-recommended pressure level. If they aren’t, take action to correct it. Having over-inflated and under-inflated tires is equally dangerous. Too much pressure and your tires are put under tremendous stress and are susceptible to piercing and blowouts. Too little pressure and your tires force your vehicle to work harder to compensate for the resistance in movement as well as make wear more uneven. Properly filled tires will roll much easier and will wear much more evenly. OTR vehicles don’t work in ideal conditions. Sometimes the terrain is rocky, uneven or is exposed to debris like nails, boards and scrap metal. Although you may feel impervious while behind the wheel of one of these vehicles, these can be hazardous to your tires. Driving over one at a bad angle or while operating a vehicle with under or over-inflated tires can greatly increase your chances of a blowout, crack or leak occurring. Whenever possible, and granted it isn’t always, avoid driving directly over obstacles, curbs, rocks or debris. Safely operating OTR vehicles at low speeds decrease your chances of an accident and it also helps maintain the condition of your OTR tires. Taking turns at higher speeds in a large vehicle may cause a fair amount of skidding and sliding as you take the turn. Skidding and sliding isn’t only dangerous, but it also serves to increase the wear on your tires. Erratic behavior behind the wheel will lead to having to change your tires more frequently to compensate for the extra wear. In need of OTR tires? Raben Tire can perform on-site maintenance and tire changes to get your fleet of vehicles back to work ASAP. For OTR information, contact the Raben customer fulfillment center at 800-77RABEN.